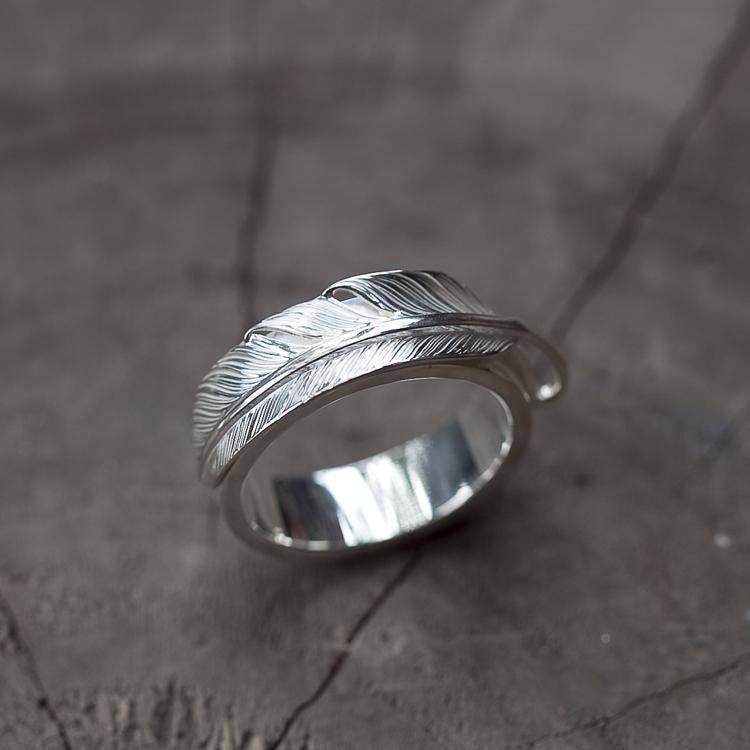 The silver feather ring is crafted in the style of a silver band - its design inspired by Native American art and culture. 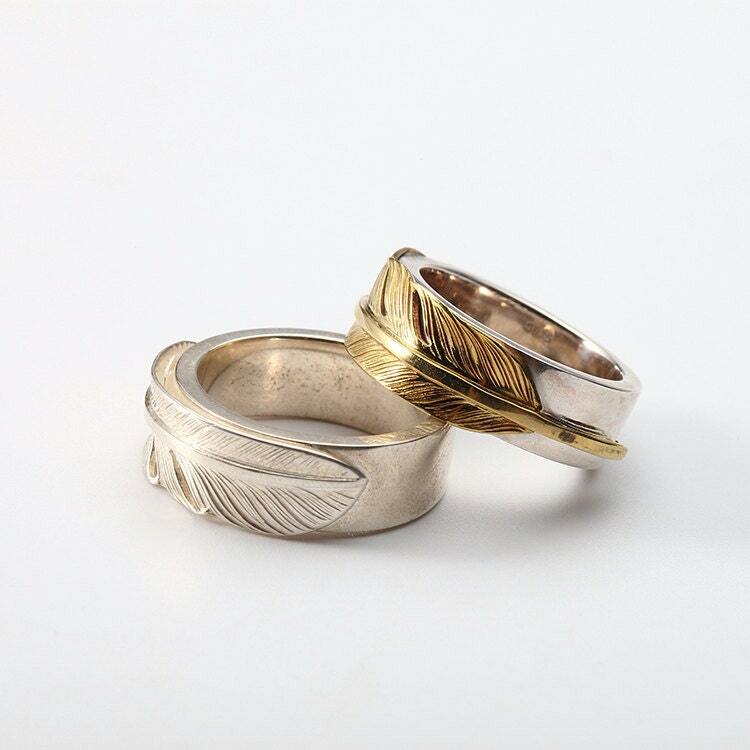 In the Native Indian culture, eagle feathers are a symbol of a courage and wisdom. 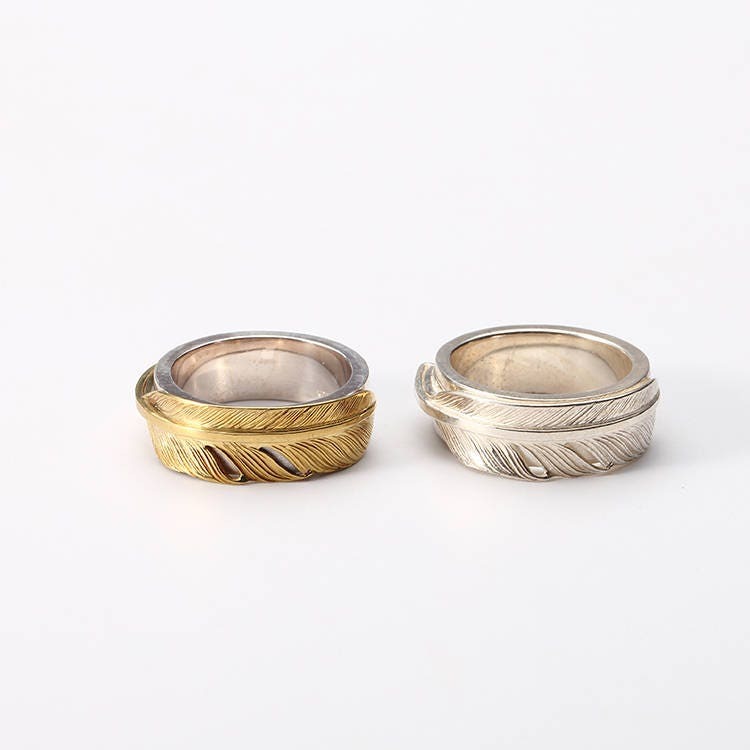 The feather band ring features a tiny silver feather on the top of a silver band - the feather covering almost half of the band. 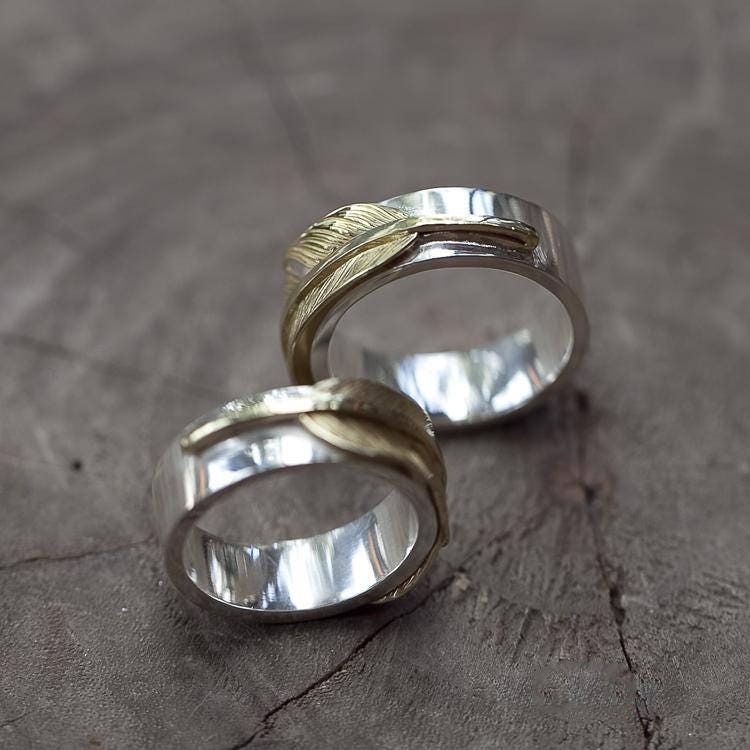 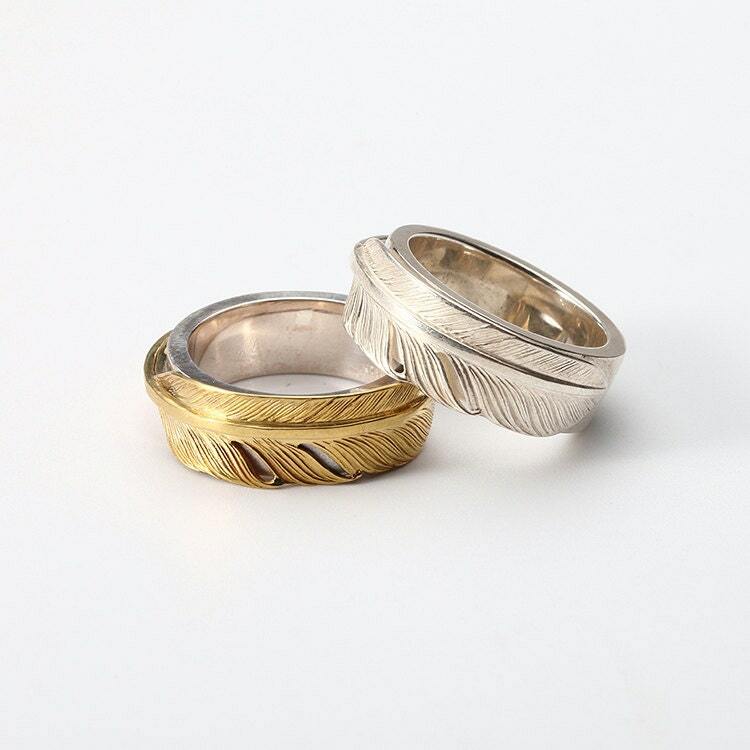 The tiny feather is available in three different material choices - silver, gold, and brass. 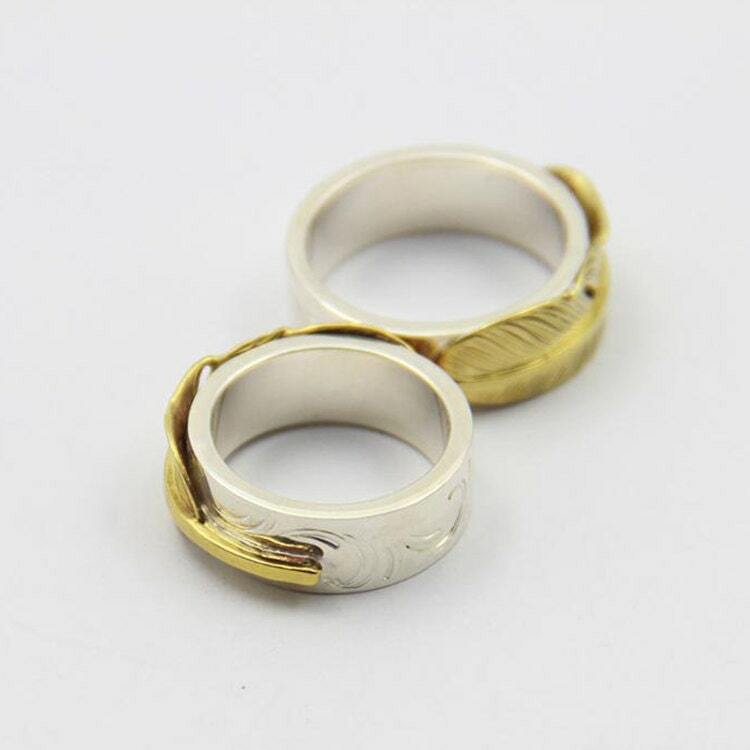 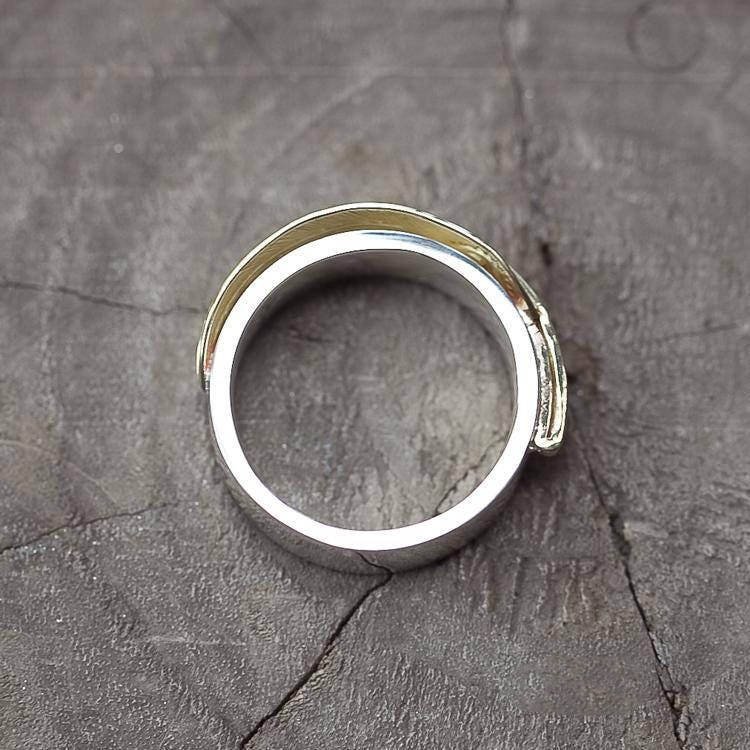 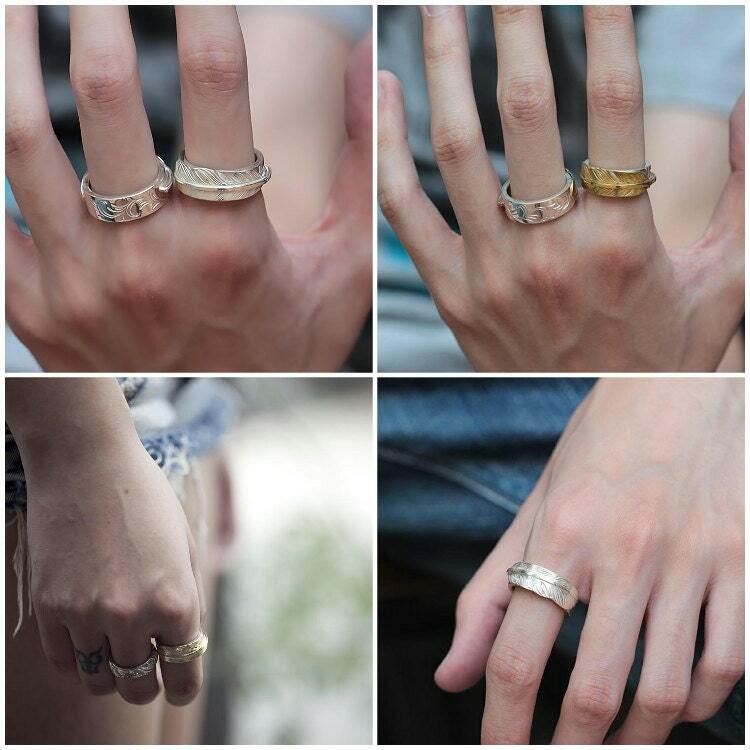 You can also opt to have the underlying silver band in two styles - plain and engraved. 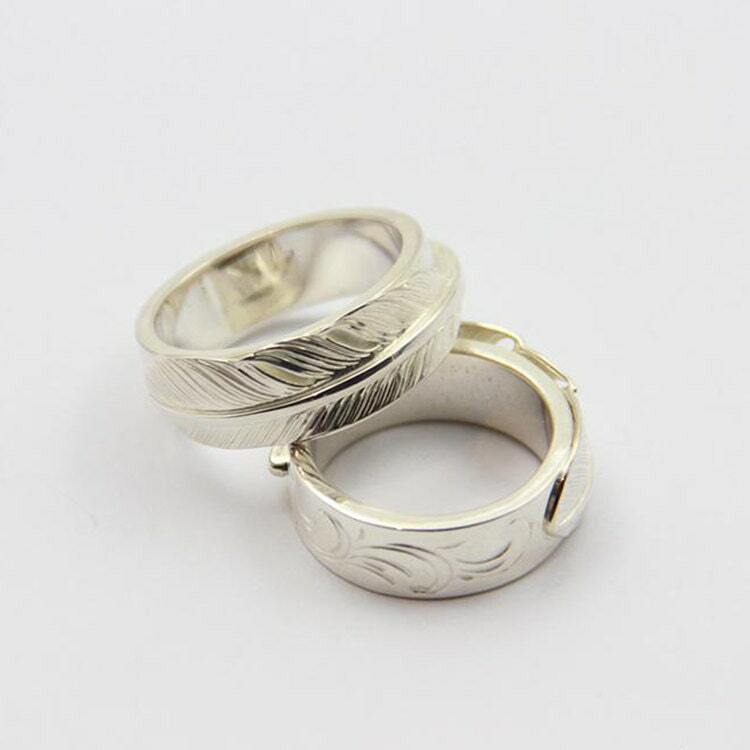 The engraved silver band is decorated with subtle Arabesque patterns.